Greeting to readers out there, we’re here for all the anime fans, otakus and even those of you just getting into the genre! Are you waiting for the next episode of your show? Or are you looking for more of your preferred genre? Whatever you’re looking for, we probably have an RPG that’s right for you. We get to talk about 13 of the most popular anime RPG games that you can play in your computer and other game consoles. We’re sure that you’ll all agree that anime-style RPGs are the most enjoyable games to play right? That is why, without further ado, let’s get you to our list of games! Persona is a series of games developed by Atlus and was released for the PS2, PSP, PS Vita, and Nintendo 3DS. The first game that was released for the PS2, was “Persona 3”, which focuses on a certain phenomenon known as the “Dark Hour”. It was then followed by remakes and a title that was ported for the PSP: Persona 3 “FES” and “Persona 3 Portable”. Then they were followed by a sequel title, Persona 4. These titles contain elements of both dating sim and Turn- based Rpg. Basically you spend you days in the game studying, working, and bonding with friends, creating “Social links” which is described as a power to strengthen your persona. And at night, you enter Tartarus(P3) or the Midnight channel(P4) to battle shadows and rescue the victims. 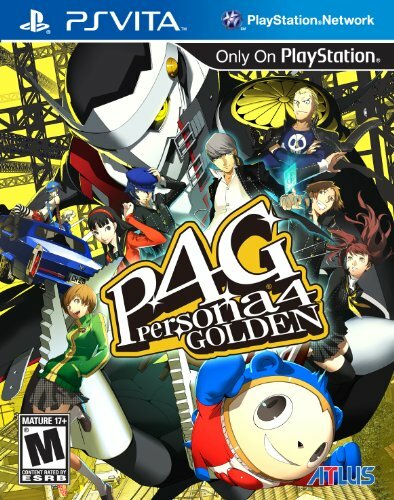 Recently, the company itself remade Persona 4 for the PsVita titled “ Persona 4 The Golden”. The remake was modified with new gameplay mechanics and a new character was added, a mysterious unfriendly girl named “Marie”. 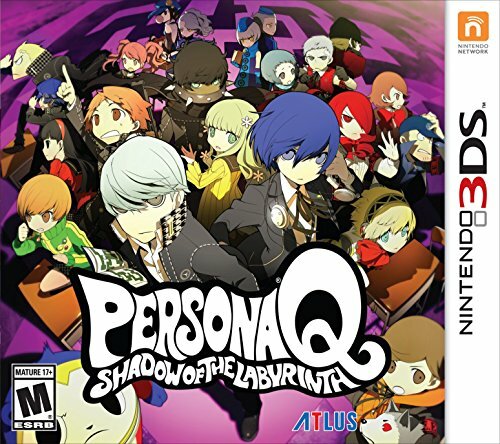 Then a 3DS title called, “Persona Q” was also released. Unlike the first two games, this title does not include a dating sim gameplay and you get to explore the world in a first person view. Persona is one of the most iconic JRPGs or Japanese role playing games in the market, rivalling the Tales and Final Fantasy series. If you want to dive into one of the best series, you can start with any Persona game you can get your hands on. In Persona 3, you have The Dark Hour, a time anomaly that exists at midnight. Time stops for an hour before the next day occurs. This is the time when “shadows” or creatures that steal the human psyche and turn the host into a mindless creature are active and lure humans out of their coffins. What are these “coffins?” Apparently, our psyches transmogrify into coffins as soon as the Dark hour strikes. You play as a hero, capable of wielding a power that allows one to act even in the Dark Hour and battle shadows, or the “Persona.” Not only that, you also possess a unique ability that allows you to change personas in the midst of battle, the “Wild Card” ability. With the power of bonds in your hands, will you solve the mystery of the Dark Hour and restore peace? This is the rumor that keeps spreading in the RPG Persona 4. In this game, this Midnight Channel is not just a rumor but a world beyond TVs full of creatures known as “Shadows.” People who enter this realm have the ability to summon a power to fight the shadows, also known as “Persona” and that you have the power to change personas, known as the “wild card” ability. As you and your friends keep entering the mysterious world, you find out that the ‘soulmate’ that was mentioned in the rumors is actually the next murder victim and that the fog surrounding the town is connected to the world itself. Can you solve the mystery and save the lives of your friends? Or will you end up getting nowhere? “Have you heard about the story of The Seven Wonders of Yasogami High? If you hear the bell ring from our school clock tower, you die.” This is basically the rumor is the gist of the whole story. The main cast of Persona 4 find themselves trapped in an alternate version of the school they go to. As they explore the world, they find that some parts of the school have been changed into labyrinths where shadows gather. Along the way, they meet two amnesiac students “Zen” and “Rei” and the main cast of Persona 3 as well. With the power of destiny guiding them, will they find a way to solve this mystery and go back to their own world? Ever wondered what it’s like to work in a farm full of animals, crops, and other gifts of nature? Well this game will give that wonderful experience. Set in a run-down farm, you get to play as a nameless farmer. It is your job to rebuild the farm by doing farm-related tasks like planting, harvesting, and animal care. In most of the games in the series, your success can also depend on your relationship with other townspeople. There are also certain events and holidays in the story and many of them are inspired by real life holidays. What’s more, is that not only can you work on the farm, but you can also date one of the game’s bachelorettes, marry her, and have children! Truly a wonderful game experience that is both addictive and unforgettable! 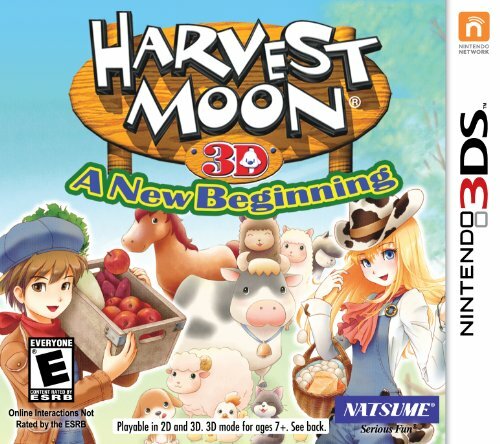 Harvest Moon is developed by Ammcus and Marvelous AQL, and published by Natsume Inc. It was first released for the Super Nintendo Entertainment System and continues to be one of the best farming simulation games. Have you ever ventured out of your own home and into the outside world? Did you wonder what it’s like to do so? Have you ever wanted a pet completely loyal to you that can kick other pets’ butts? And then you get rewards for kicking said pets’ butts? Set in the world where cute and adorable monsters roam, you play as a Pokemon trainer and embark on a quest to capture a lot of pokemon and collect a lot of their data in your ‘Pokedex’. At the start of the game, you get to choose between three different pokemon, each having an elemental attribute that belongs to either fire, water, or grass element. As you play the game, you are tasked with other important missions: Collect all 8 gym badges by battling 8 different gym leaders. You also have to stop a nefarious group from capturing and ruining the lives of countless pokemon, compete in the Pokemon league and become a champion. The Pokemon series was and is still developed by Gamefreak and was first released for the gameboy. Other titles and remakes were made for the Gameboy Advance, Nintendo DS, Nintendo Wii, Nintendo WiiU, and Nintendo 3DS. has made its name by giving another original concept for an RPG. Like Harvest Moon, Pokemon also has elements and values regarding Nature itself. But the real hook of this game are the creatures--which can evolve. There are over 400 pokemon to catch, train and evolve--so you can see where the addictive factor comes from! Have you ever wondered what it is like to become a lawyer? Even if you haven’t, there are games that can supposedly simulate this for you--sans law school, of course. Still, playing as a lawyer in Ace Attorney is not as bad--it’s just campy. The lack of Law and Order style investigations and instead a good dose of campiness does not stop Ace Attorney from being entertaining and fun to play. In this game, you get to play as the famous lawyer ‘Phoenix Wright’ and solve cases that are hard to solve by other lawyers. Basically the game has two portions, investigation and court trials. In each chapter, a murder occurs and that it is up to you to investigate the case and solve the trial in court. The story itself focuses on the previously mentioned ‘Dark age of Law’ where lawyers and prosecutors cheat on the trial just to achieve victory. The concept itself is tied to an unsolved mystery in the past and it is up to Phoenix Wright and his pupils, Apollo Justice and the newly introduced law graduate, Athena Cykes, to solve the mystery. 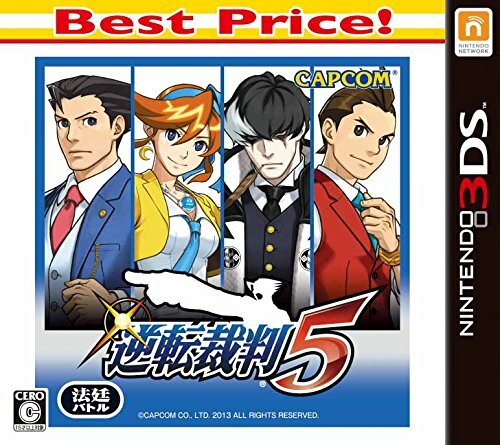 The Ace Attorney series was first released for the Gameboy Advance in Japan, followed by a remake for the DS console that was released in the United States and other Western Countries. It was developed by Capcom, the developers of Megaman and Street Fighter. Truly an entertaining game til the very end. Well that is exactly what Devil Survivor is about. 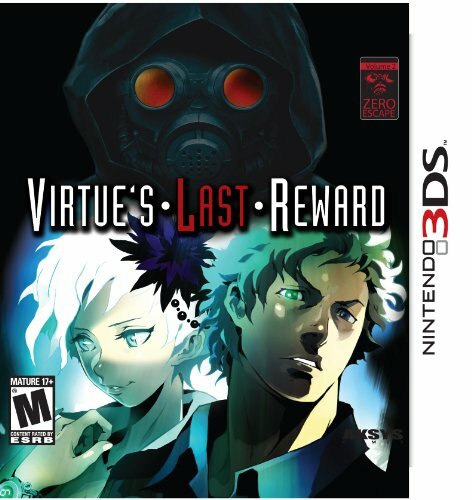 In this game, you play as a nameless protagonist (like in other Shin Megami Tensei and Persona series) and as you go back to your home city, Tokyo, you are suddenly given a COMP (Communication Player, a D- like console for gaming) that contains strange messages. As you progress a little further in the game, you discover that the COMP has messages that predict what will happen the next day. Demons infest your home and your device has the program that enables you to summon and battle demons, and that the current events tie to an even bigger Catastrophe waiting to unfold. Will you be brave enough to face this threat and bring back peace? Or will you bring further destruction and chaos? Devil Survivor is a game developed by Career Soft, and published by Atlus (thus the Shin Megami Tensei title). 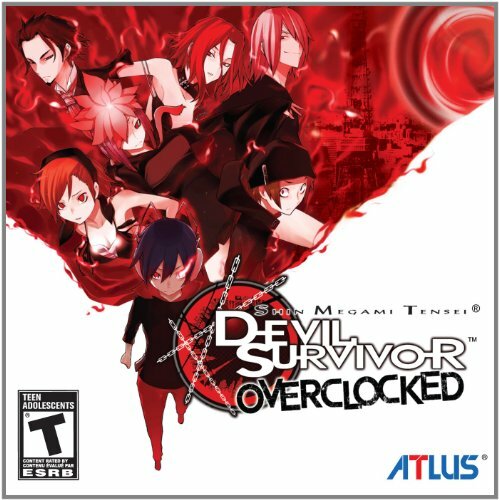 Like most of the SMT series, Devil Survivor focuses on a post Apocalyptic setting and has almost the same turn-based battle system, some of which are nearly identical to Persona. The game also has multiple endings following the other titles, all of which containing different endings regarding your choices. A sequel was made, “Devil Survivor 2” and both were re-released for the Nintendo 3DS with additional gameplay mechanics. Are you a fan of puzzle-solving games? If you are, then Zero Escape is the game for you! The plot follows the story of Junpei Tenmyouji, how he got trapped in a sinking cruise ship with eight other individuals including his childhood friend Akane Kurashiki, and his resolve to find a way to escape. Junpei and his companions are forced to play the “Nonary Game”, a game that forces them to play mind-boggling puzzles, kill each other, and to find the door with a number “9” on it in order to escape the ship in a span of 9 hours. Various choices in the game result in various endings and many of them are the worst case scenarios. Zero Escape is a game developed by Chunsoft and is playable on the DS platform. It consists of a visual novel-like storytelling and problem-solving puzzles. Basically in every trapped room that you get yourself into, you have to find and unlock the exit by solving puzzles in that room. Like a visual novel, it has multiple endings and some of them are bad endings. The game has three titles, and two of them were made for the 3DS. All three games were released in the U.S. Combine rpg games like Final Fantasy Chronicles and Lufia:Curse of the Sinistrals with Harvest Moon, and what do you get? Rune Factory of course! Rune Factory is mixture of elements of both RPG and Farm Simulation. Most, if not all, of the Rune Factory games follow the same introduction of all Harvest Moon games. A mysterious player arrives in town and he is given the task of working on the farm, attending events, dating bachelorette, and the like while also given the responsibility of battling monsters in the forest or dungeons to defend the town itself. Just the typical life of someone living in a fantasy world without internet. Like all Harvest Moon games, each Rune Factory title also has different settings. 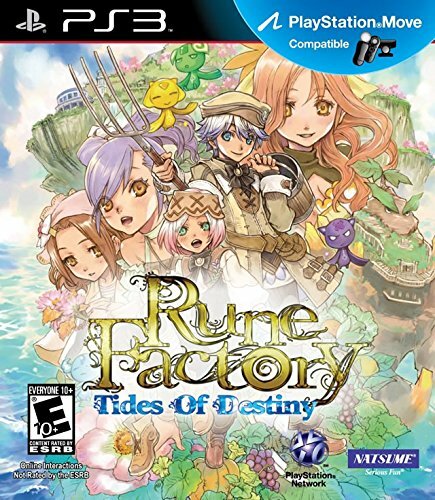 Rune Factory is developed by Neverland co. Ltd and is available for the DS, 3DS, Wii, and PS3 platforms. The first three games are available for the DS, while the other games are playable for 3DS, Wii, and PS3. Have you ever wondered how valuable life is? What if it disappears from you all of a sudden and you got taken to the other world, only for you to be forced to participate in a life and death game? That is the story of The World Ends With You. Basically, you play as the selfish Neku Sakuraba, who was suddenly killed and was forced to play the “Reaper’s Game,” a game of life and death in the afterlife. Along the way, Neku meets friends and his views about the world suddenly change and not only does he play for himself, but also for the friends he meets. He strives to emerge victorious so that they can live again in the material world. 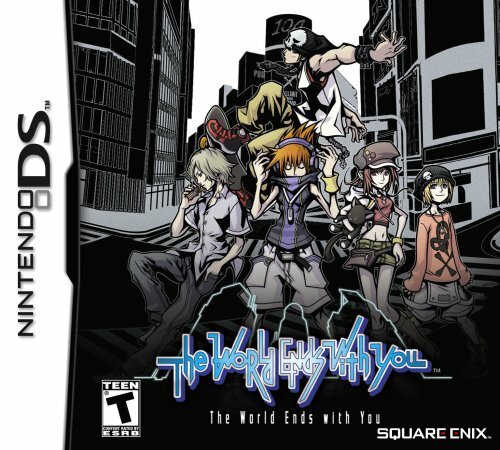 Another game developed by Square Enix, The World Ends With You is considered a hidden gem because of the fact that it didn’t garner much fame unlike the Final Fantasy and Kingdom Hearts Series. Still, it proves to be a good game for the DS and its story provides high stakes and a compelling hook. Basically, to survive in the Reaper’s Game, you have to complete missions and in every week (within the game), there is a boss that has to be faced. Despite not gaining much fame, this game was ported to mobile. As mentioned earlier, this game was also included in Kingdom Hearts 3D, replacing Final Fantasy. If you played KH 3D and want to get to know more about Neku and his friends, then play this game. Have you ever been into relationships with two different girls? If you have, then what does it feel like? Depressing, right? Well that feeling multiplies into fear and anxiety when you find out that one of the girls is actually a succubus that kills men in their dreams. That is the story of Catherine. In this game, you get to play Vincent Brooks, a man that is engaged with Katherine Mcbride, his girlfriend. As you play the game, you find out that Vince is actually uncommitted to Katherine and one night, he meets a girl named, “Catherine” and spends the night with her. The story deepens as Vince tries to find a way out of this situation and survive the nightmares, known for killing other men, that haunts him every night. 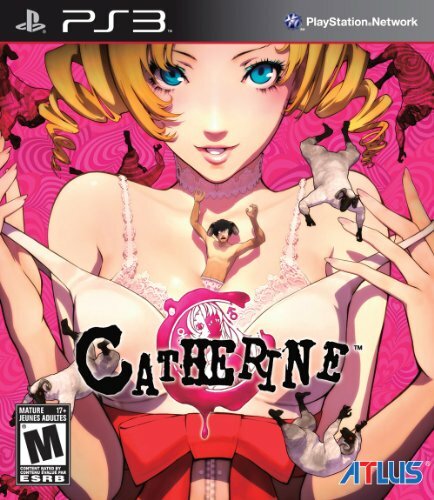 Catherine is developed by Atlus and is available for the Xbox 360 and PS3 systems. The game follows two portions: Daytime and Nightmare. In Daytime, you get to do whatever you want (hang out, drink, etc. ), while the Nightmare portion puts you in a puzzle in which you have to climb a collapsing tower. To do so, you have to avoid traps such as spikes, etc. You win the game by climbing the top of the tower. The game has multiple endings depending on your choice. WARNING: The succubus part of the game does make for some interesting, adult-only scenes! Imagine that it is your last day at school. Graduation is near and you’re going to transfer to a new school. You decide to stay late at your school to do a good luck incantation with your friends when suddenly, everything turned out to be like a horror house. That is the story of Corpse Party. Basically, the game is about a group of friends who stayed late in school to cherish their moments as some of them are transferring. They performed the “Sachiko Ever After” lucky charm when suddenly, an earthquake strikes and they are all transferred into a different school, “The Heaven’s Host Elementary School.” This is actually the old school building which was demolished to give way for their new school. Everything is in ruins. Corpses are everywhere and ghosts are haunting them. Will they find a way out? 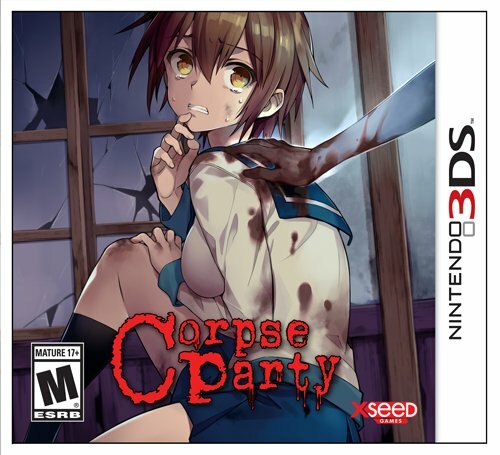 Corpse Party is a game developed by Team GrisGris and 5pb and is available for the PSP, PC and Nintendo 3DS. The graphics are a bit of an old school style with only characters represented by sprites, however that doesn’t mean that it isn’t good. Join us in the open seas as we play some of Eichiro Oda’s masterpieces! Join Monkey D. Luffy as he ventures out in the wild blue sea to find One Piece, the scared unlimited treasure found in the Grand Line and first discovered by Gol D. Roger. Did we mention that he also wants to be the Pirate King! Does he have what it takes to become a pirate king? Or will his dreams prove to be just a fantasy? One Piece is currently one of the longest running manga, anime, and video game franchise in the history of anime. It spawned multiple titles created for different gaming platforms such as PS2 and the NDS. 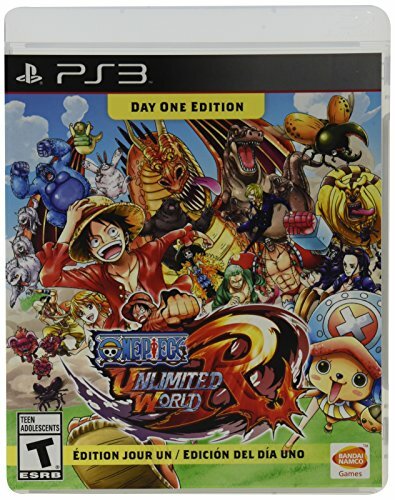 One of its titles, “One Piece: Unlimited World Red” is currently available for the PS3 and Nintendo 3DS. 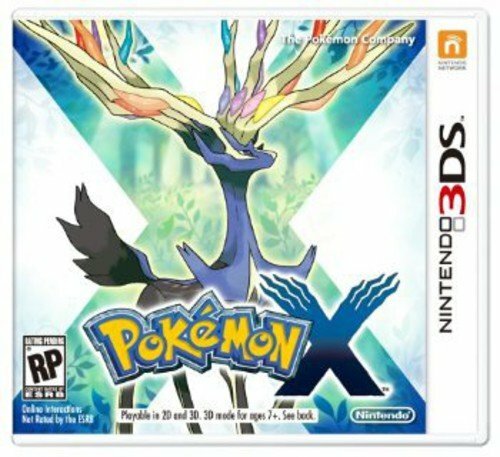 If you want to experience an epic adventure similar to Pokemon, then this game is for you. Do you like playing MMORPGs? What if you got to play an MMORPG using virtual reality? That is what Virtual Reality Gaming headsets are for! Yet what would you do if you get trapped in the game, you cannot log out, and that once you die in game you die in real life? That is the plot of Sword Art Online! Basically, you play as Kazuto Kirigaya (better known as Kirito in the game), a beta tester playing the game Sword Art Online or SAO. Once the game is released worldwide, he suddenly finds himself trapped in Aincrad (the world inside SAO) and that the only way to escape is to reach the 100th floor of the castle in Aincrad and defeat its boss. The catch? Die in-game and you die in real life. Will Kirito find a way to survive in this crisis and return to the real world? Or will he suffer a cruel fate? 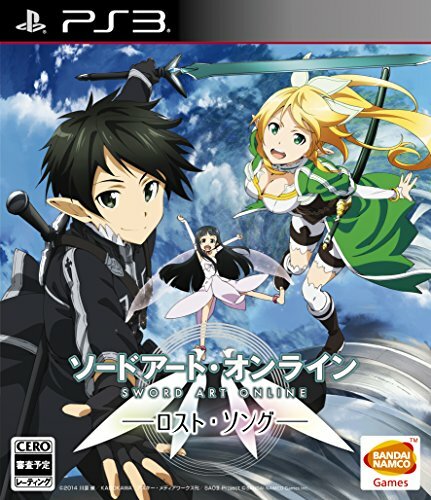 Sword Art Online is developed by Aquaria and is playable for the PSVita and Playstation 4. 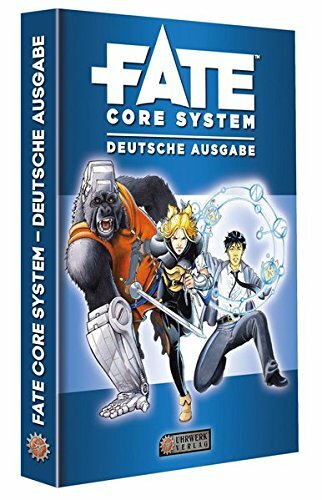 If you liked the anime, then you’re definitely gonna love this. What would it feel like like to be trapped in an academy with your classmates and that the only way out is to kill one or two of the people who are trapped with you without being found out? As the story progresses, Makoto finds himself locked in the academy with fourteen other students who are also “Ultimates.” An animatronic bear named “Monokuma” is also inside the place with the students. This bear calls himself the headmaster of the academy, and tells them that if one wants to escape, he or she must kill another classmate without getting caught. What was initially the “The Academy of Hope” turns out to be “The Academy of Despair” for Makoto and his classmates. The game has 3 sections per chapter: Daily Life, Deadly Life, and Class Trials. In Daily Life, you begin by investigating the academy in order to find a way out. Then you bond with your classmates and date some of them, just like a dating sim. This ends when you discover one of you classmates’ corpse--a clear sign that the students are now being murdered. Deadly Life then follows and it begins with an investigation portion, similar to the Ace Attorney series. Then finally, the Class Trial occurs. The class trial is where you debate over the killer and vote for him as the murderer. This is pretty much a fast paced version of the trials in the Ace Attorney series. In the end, if you vote for the right killer, then he alone will be executed. If not, all the remaining students will be killed and the killer alone escapes. Danganronpa was developed by Spike Chunsoft Co. Ltd. For the PSP which was only released in Japan. It was later followed by a sequel named, “Danganronpa 2: Goodbye Despair.” Both were then re-released for the PSVita and were also ported for the PC. 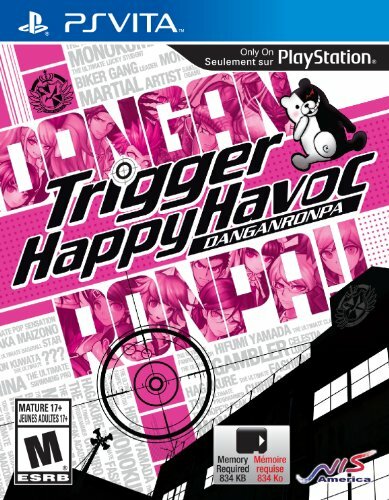 The second game was then followed by another title’ “Danganronpa: Ultra Despair Girls.” Unlike the previous games, this title is of the Third Person Shooter type of game. This game is very addicting and memorable once you play it. Anime games have surely taken the world of gaming by a landslide. The list above is a proof of that. You’ll notice that most of the titles are for console handheld and PC games. The mobile platform still has a lot of catching up to do--and in the end may only be year-old ports of old games. Some of the titles mentioned above already have mobile ports, so if you want to start playing right now, you can download them on your device. You may notice that these titles are quite different from Western-made RPGs, in the sense that these incorporate a lot of Japan-isms and Nihongo culture. Just playing Ace Attorney may make you think that Japanese court could be something akin to Judge Judy! But in the end, what you have is a list of compelling stories and awesome battles waiting to be fought--whether it’s in the form of a mega showdown with a boss or simply getting the right girl to date you for the best ending.